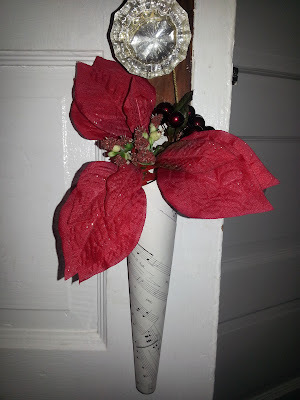 There's something about this time of year that brings out the little crafting bug in me. I used to love to craft, but sort of got away from doing a lot of that stuff after I became a mom. Now that little B man is three, I have a bit more time to work on projects, and it's even mre fun when we can work on some stuff together. I happened to have some big, long sheets of old sheet paper lying around the house, and really felt like I wanted to do something with it. 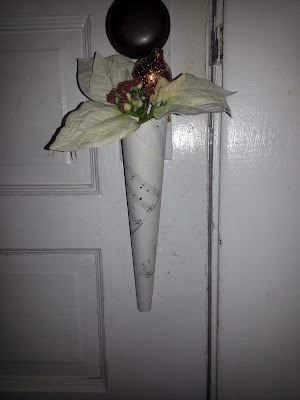 I got the idea to make paper cone decorations from the sheet paper, and then fill the cones with Christmas picks or sprigs. I started off by cutting the sheet music into four sections, which came out to be about four pages of music. 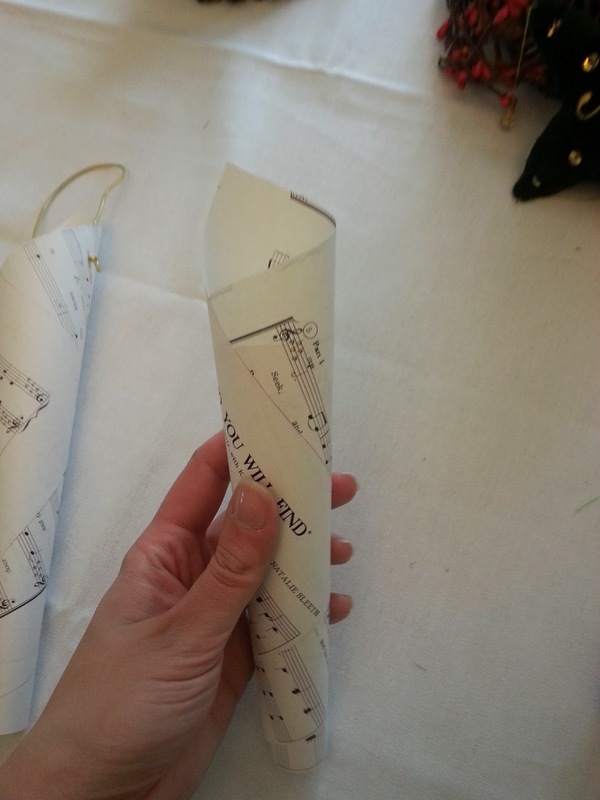 Next, I rolled the paper to make a cone. 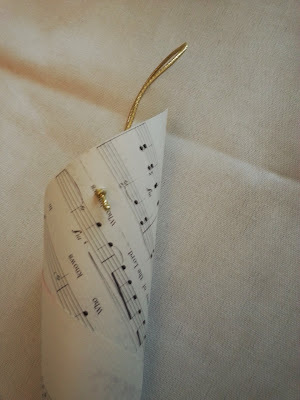 I secured it with a bit of craft glue at the top and bottom of the cone. 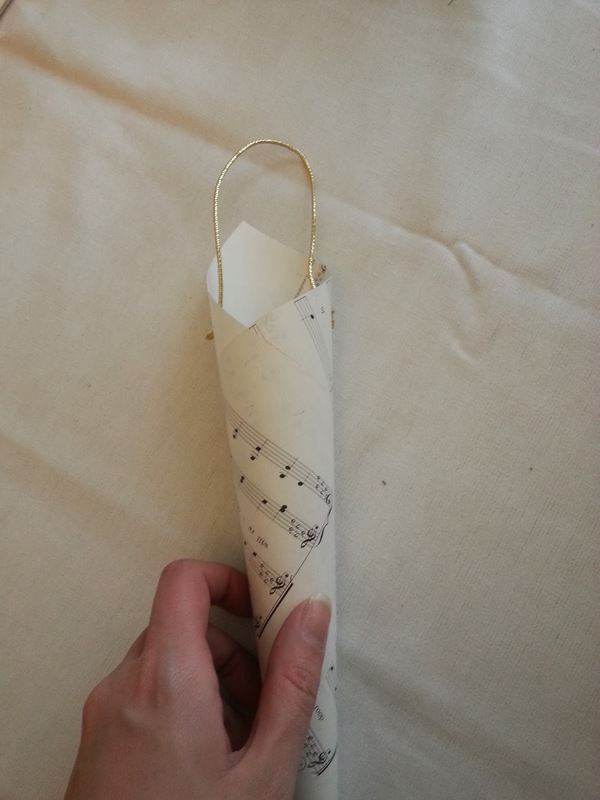 I found some gold elastic bands, and tied them onto the cone on each side. I thought the paper would look lovely with a more vintage sort of style to it, so I decided to tea stain the cones. 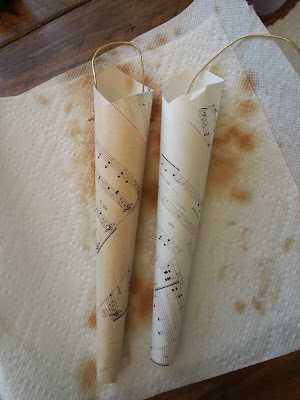 Now really, I should have just tea stained the paper before I rolled the cones, which you could do easily. 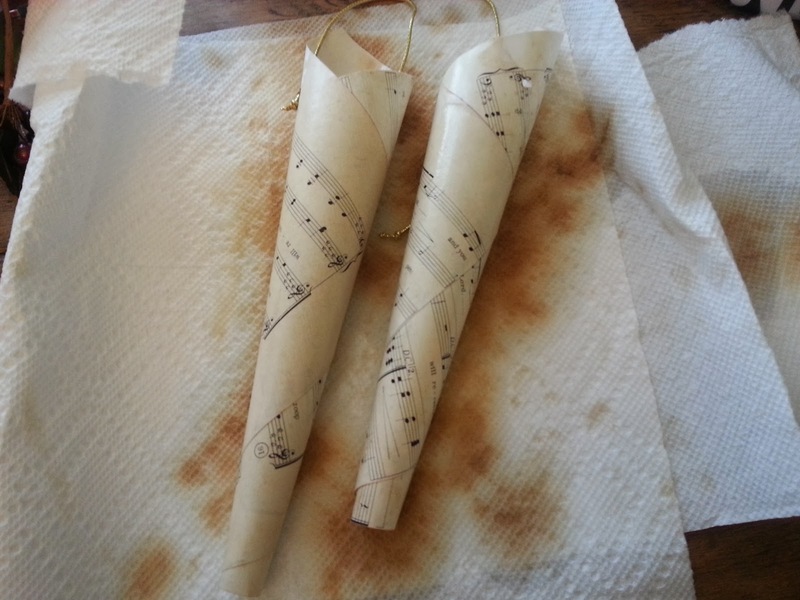 ...and then dragged the tea bag (carefully) over the paper cones.You can see the difference between the plain paper and the tea stained paper, here. 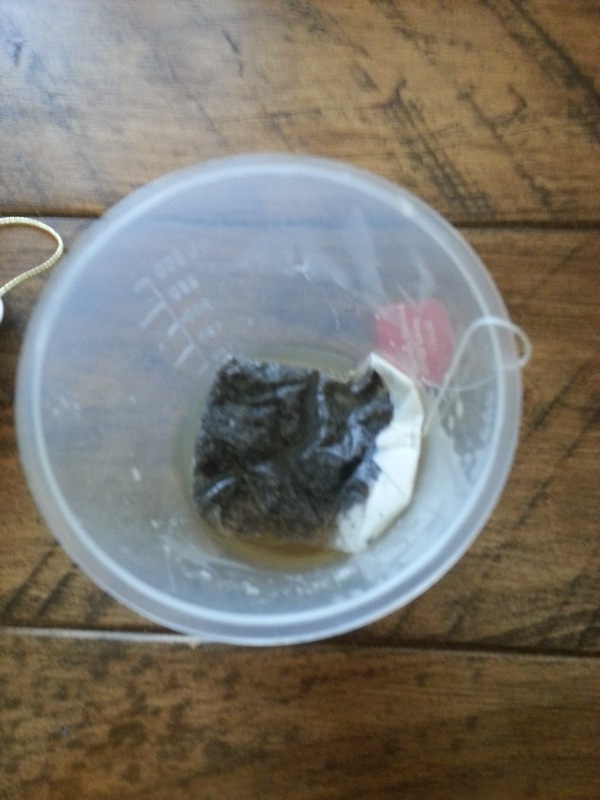 When you're doing the tea staining, just be careful and remember- you're working with paper. 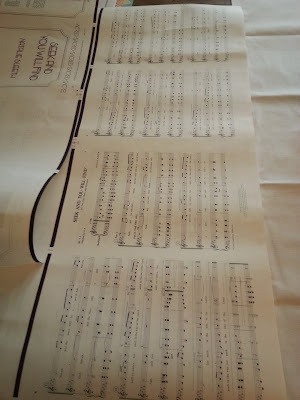 The paper will be damp, and can easily tear. You can repeat the staining process as many times as you like, to get the color you want. The more times you repeat the staining, the darker the color will be. Let the paper dry in between stainings. When your cones are dry, hang them wherever you like, and fill them with floral picks, greenery, ornament balls, etc. They'd even make cute little gifts filled with candies, etc. 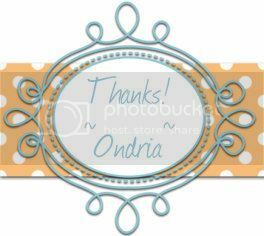 I am hanging these on various doorknobs throughout our old home. ...and here's another one, with a different colored poinsettia. 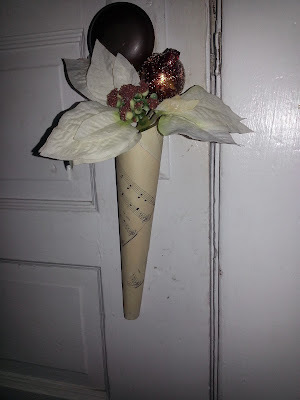 Here's the same cone, with the stain on the paper. I do like it better this way! This would be a great little craft to do with your kids, to do with a ladies group or just to do by yourself. Have yourself a homemade holiday!